(And Watch Me Bounce). 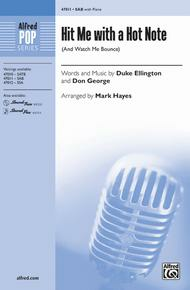 Composed by Duke Ellington (1899-1974) and Don George. Arranged by Mark Hayes. Performance Music Ensemble; Single Titles. Alfred Pop Choral Series. 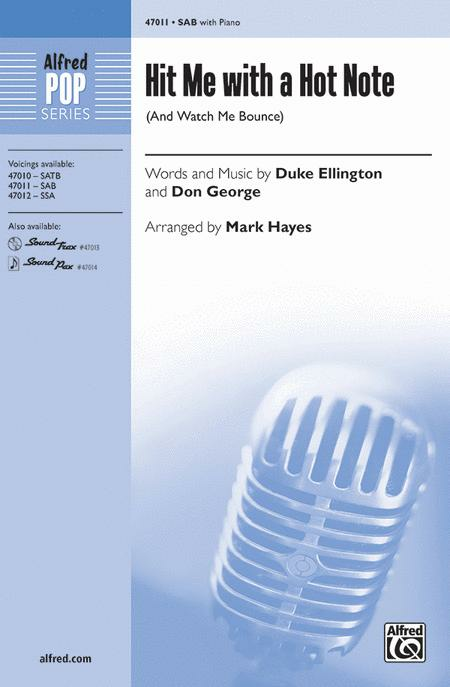 Great American Songbook; Secular. Choral Octavo. 12 pages. Alfred Music #00-47011. Published by Alfred Music (AP.47011). This Duke Ellington number was featured in Sophisticated Ladies, the musical revue celebrating the life and music of the great bandleader. A slinky bass accompanies some sassy vocals in the intro just before this swingin' setting grows into full-blown jazz. Syncopated horn licks and a tight rhythm section provide some sizzle on the optional SoundTrax CD and SoundPax.